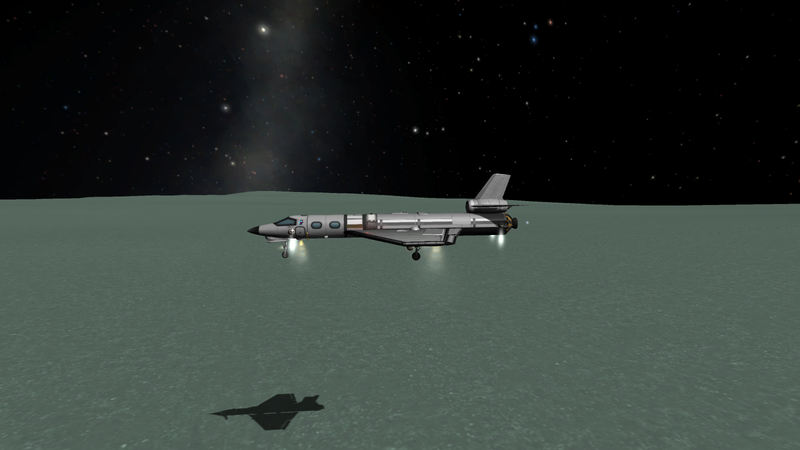 A mod aircraft called Canary-1mi. 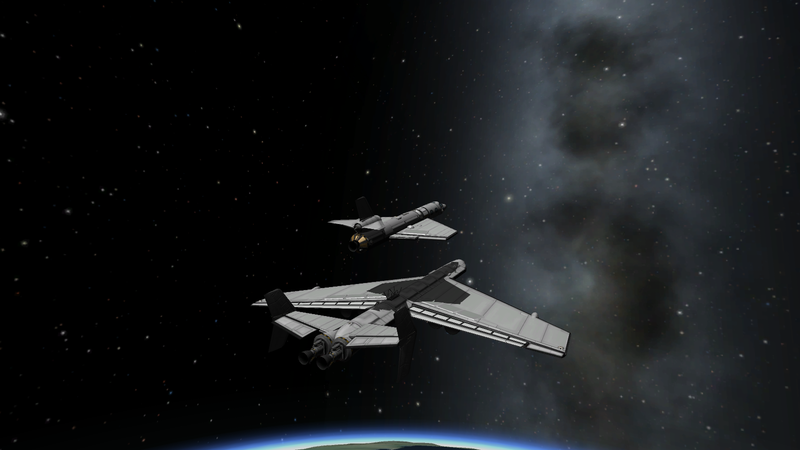 Built with 47 of the finest parts, its root part is Mark1Cockpit. 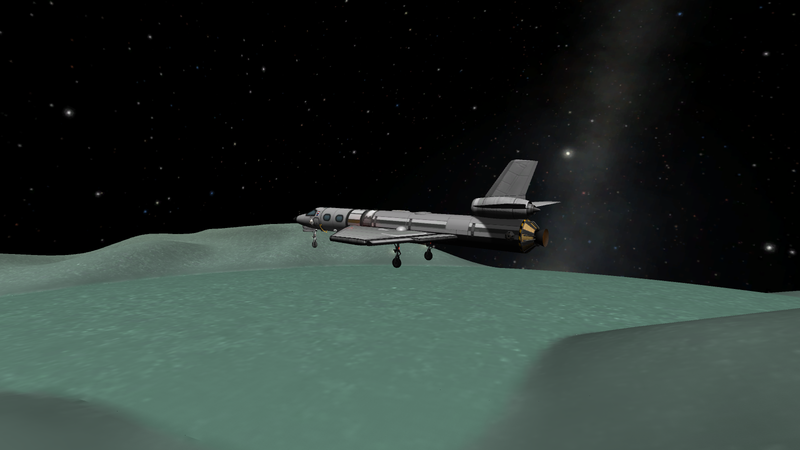 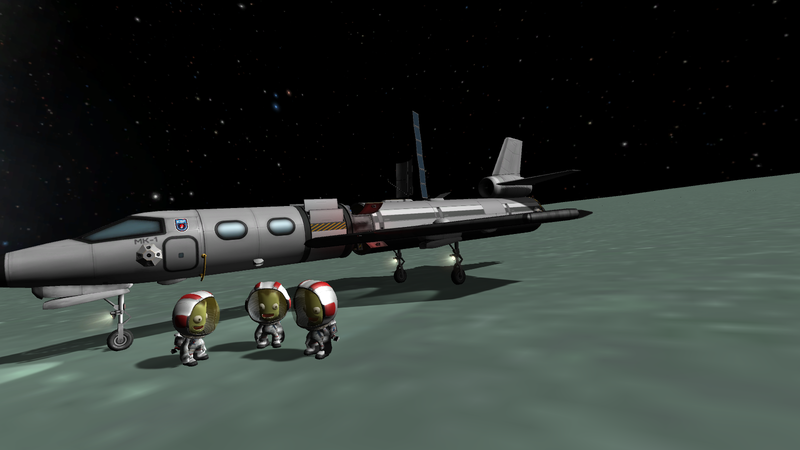 Has about 2.3k dV and uses Terrier engine, capable of vertical take-off/landing on Mün and (obviously) Minmus. 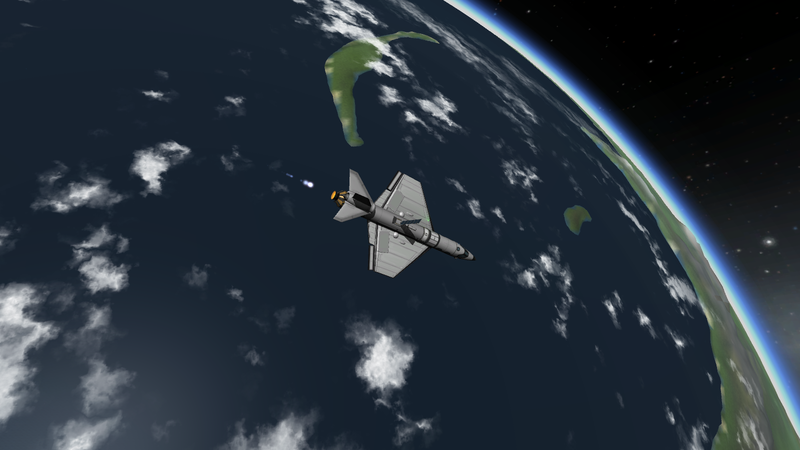 Has small airbreathing jet engine for cruising to KSC after re-entry. 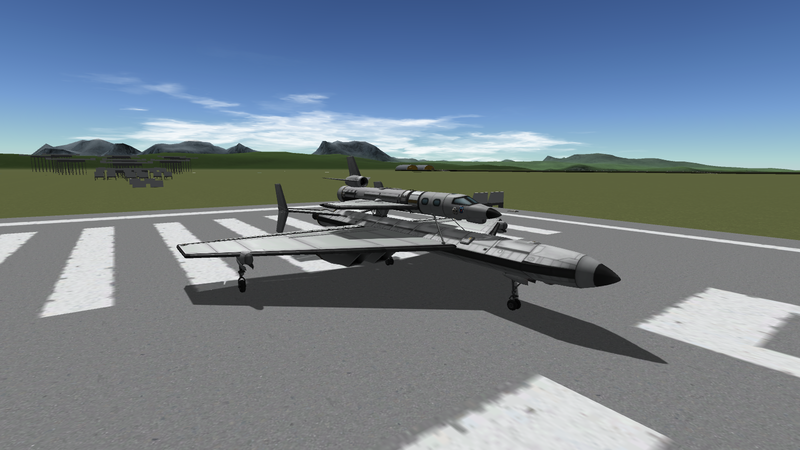 Due to stubby wings and as a result, high wing loading, recommended landing speed is rather high, 110-120 m/s at least.